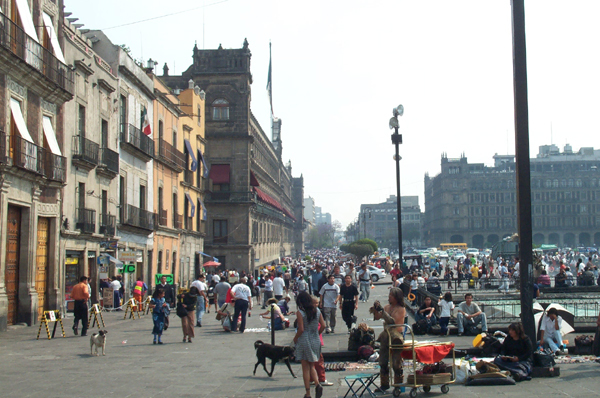 The Zocalo is a huge square in Mexico City. 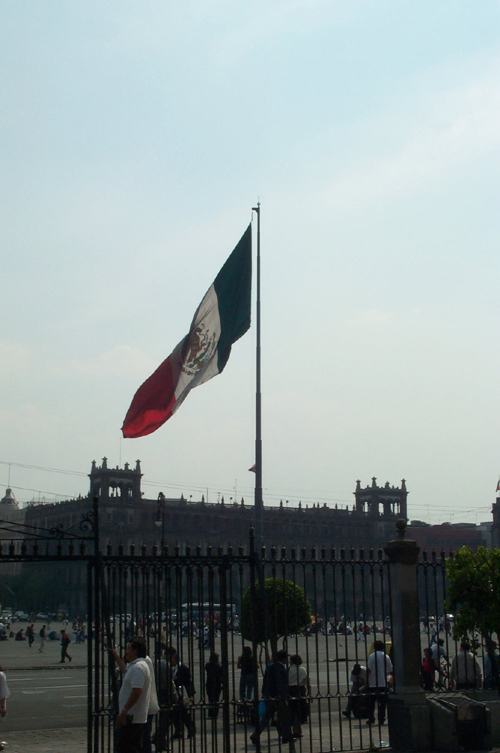 Trafic travels around a huge Mexican flag. 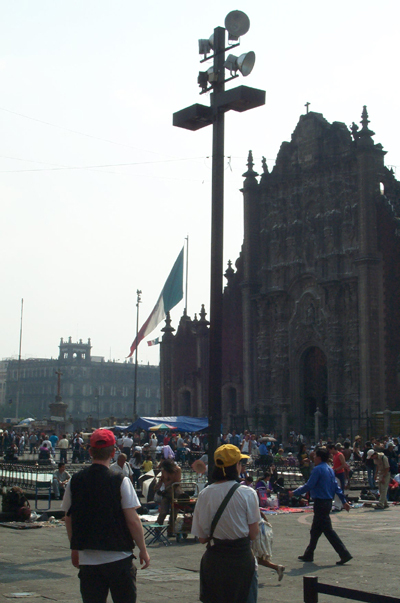 The Cathedral Metropolitana makes up one side of the square and the Palacio Nacional another. 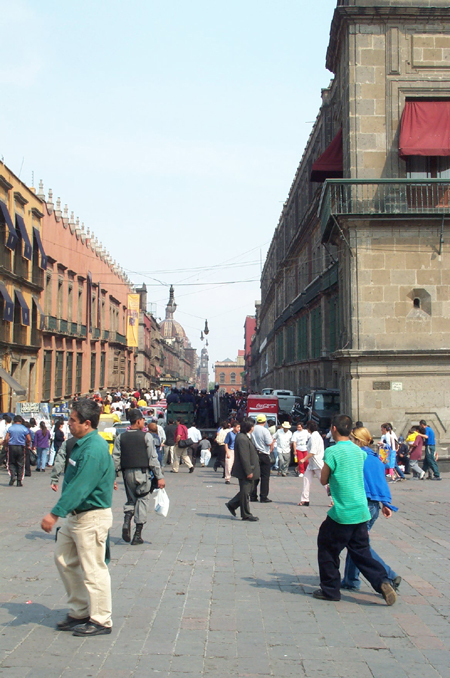 This is a view of one of the side streets off the Zocalo. 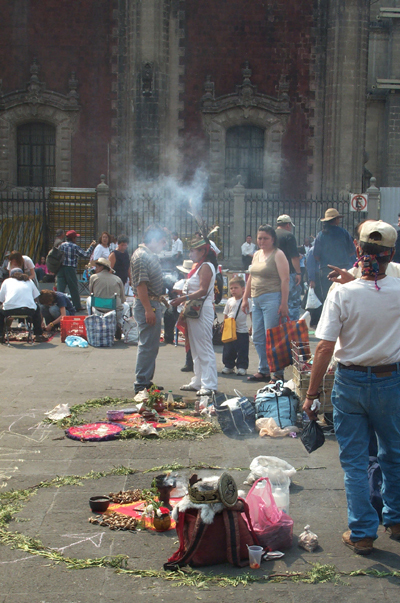 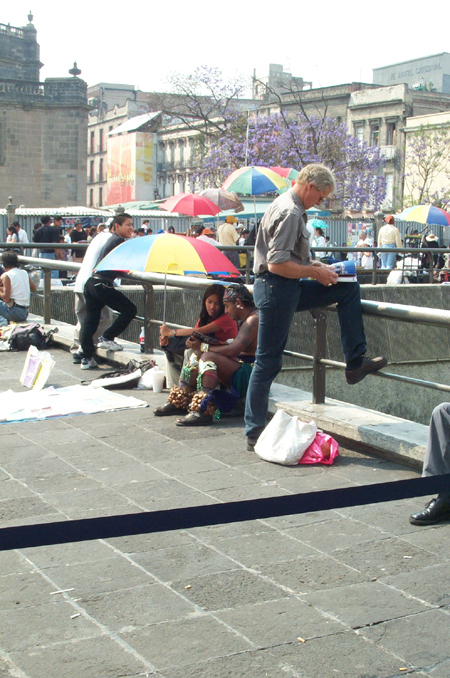 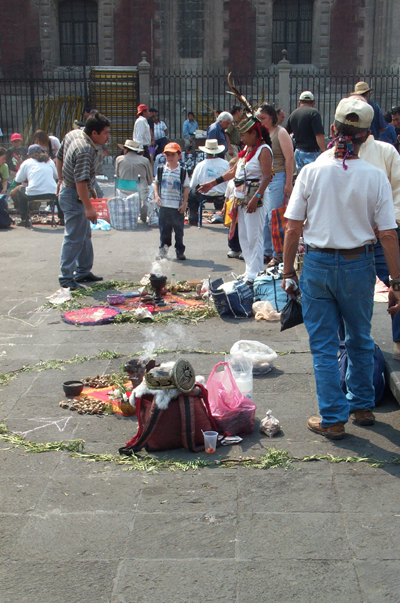 In the pedestrian-only plaza to one side of the square (towards the Templo Mayor) there are tons of vendors and, in this case, native shamen. 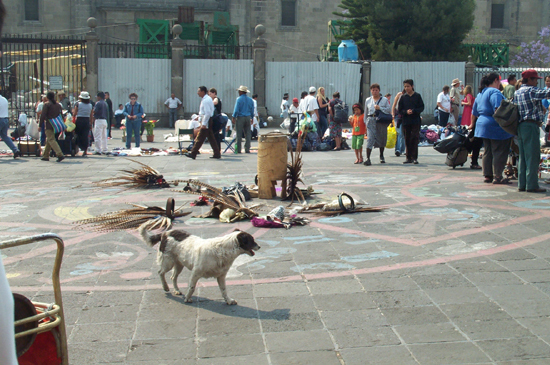 Before we went into the Templo Mayor, we noticed an interest setup for what could become a circle dance of some sort. 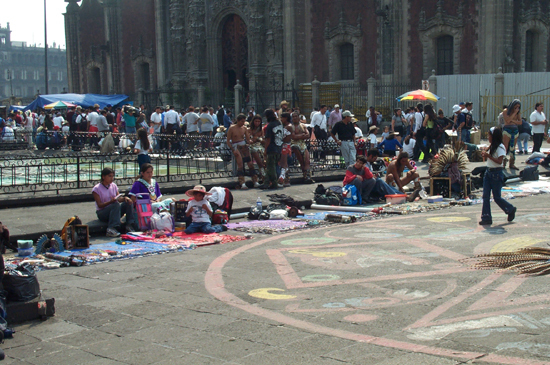 The vendors have everything from plastic made-in-taiwan toys to interesting native art. 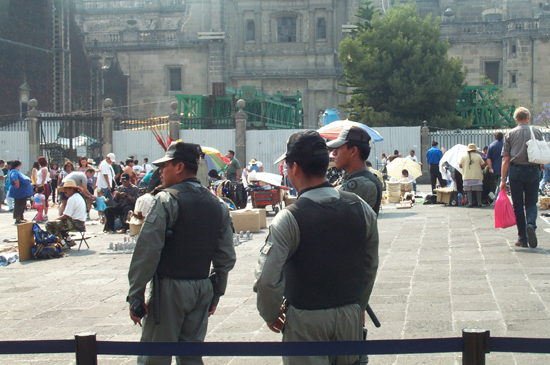 A view of the Palacio Nacional. 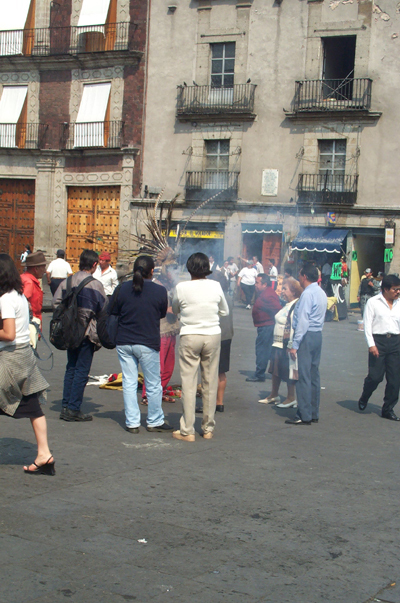 looking down the square from the pedestrian area. 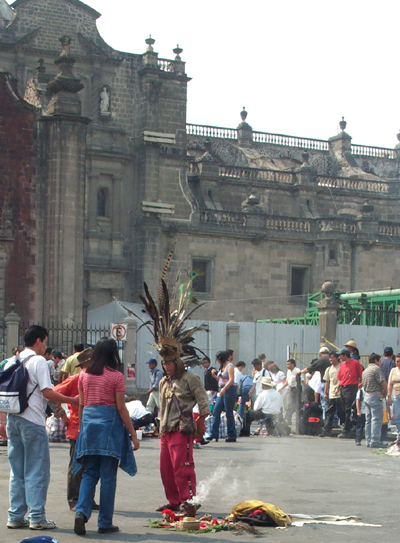 The Cathedral Metropolitana is out of the picture to the right. 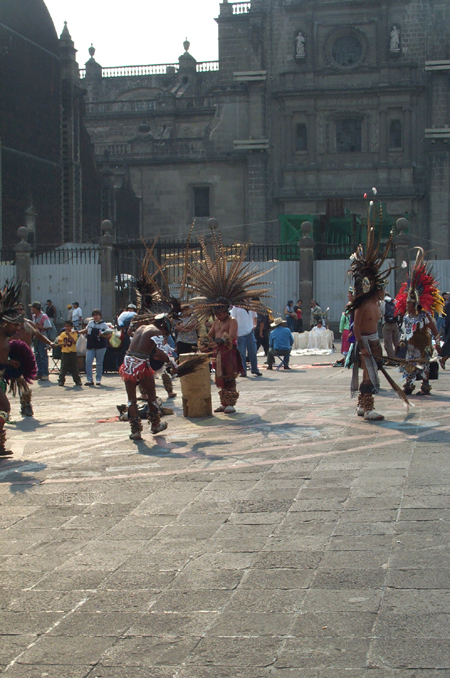 That's the Cathedral in the foreground. 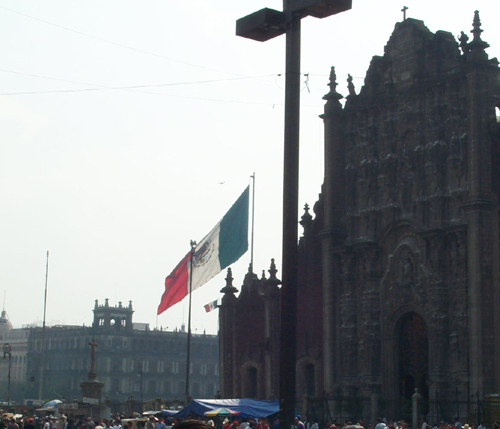 To give you a perspective on the scale of this flag: the Cathedral is not dainty by any stretch of the imagination. 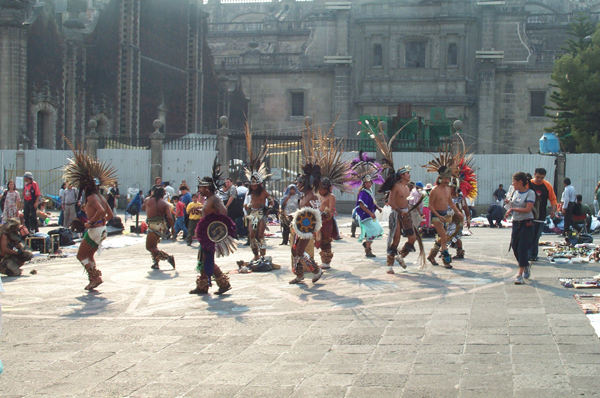 When we came out of the museum adjacent ot the Templo Mayor, there was indeed dancing!